Popularity in the virtual world is what counts these days. And Uttarakhand Chief Minister Harish Rawat doesn\'t seem to be doing too well on that front. As he struggles far behind his wife in social media in terms of number of followers etc, let\'s see what the real figures are and why even a dedicated team is failing the CM in the wired world. 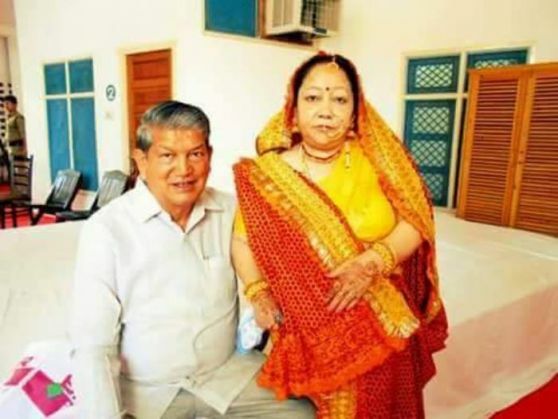 Despite a full-fledged media wing along with two dedicated staff members looking after his profile on social media, Uttarakhand Chief Minister Harish Rawat continues to struggle for popularity. And not just that. It seems that more than the CM, his wife Renuka Rawat, has a large number of followers on Facebook. In fact, she is the most liked/followed among all the Rawat family members active on social networking sites. This despite the fact that she contested and lost the Lok Sabha elections in Haridwar. Renuka Rawat, with 21, 467 followers on Facebook, trumps the entire family - husband Harish Rawat (8,210), son Anand Rawat (4,943) and daughter Anupama (2590). The Harish Rawat government is active on social media and has been using this platform even for the state government's advertisement campaign. His social media team comprises two young Congress leaders - Harpal Rawat is in-charge and Ompraksh Sati is his deputy. The state government is also in the process of declaring a social media policy. However, the CM's popularity in the virtual world is still but a blip, even though his Facebook page is updated on a regular basis, with information, visuals and press releases about the various events that he attends. His wife, on the other hand, doesn't even bother with a regular post! Despite this, the children, who are active in politics, have failed to keep pace with their mother on social media. While some people do use social media to share their grievances with the Chief Minister and his wife, whether their woes are ever addressed on this platform is anyone's guess. For instance, adhoc teachers in the state have been posting consistently on the CM's page about a regularised education department. Pharmacists too have been making similar demands. However, apart from the photographs issued by the State Information and Public Relation Department, the CM's page is largely non-interactive. Harish Rawat's number of followers on Twitter is impressive (6017), but even here, his struggle for 'likes' remains consistent. Sample this: Of his 4,271 tweets, the 'likes' he has are well, two! . Obviously, the CM's media department has not delivered. The mass popularity that could have been his, with a dedicated social media team, has been eluding him. While an ineffective and a usually static page can be blamed for the CM's dismal performance across social media, what remains unanswered is his wife's immense popularity!